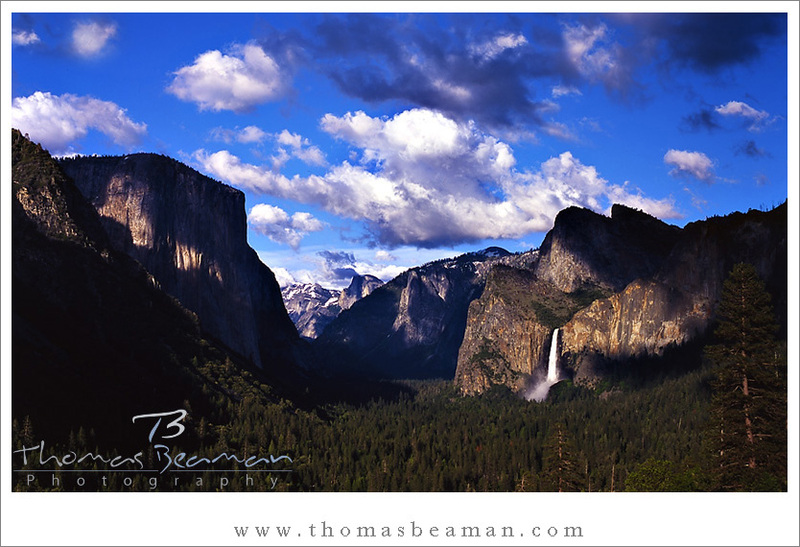 Yosemite National Park is one of the most amazing places to photograph. I have spent many days walking around this park with my camera and I always come away with stunning images. Summer is the most popular time of the year in the park but I prefer to photograph in spring, winter and fall. 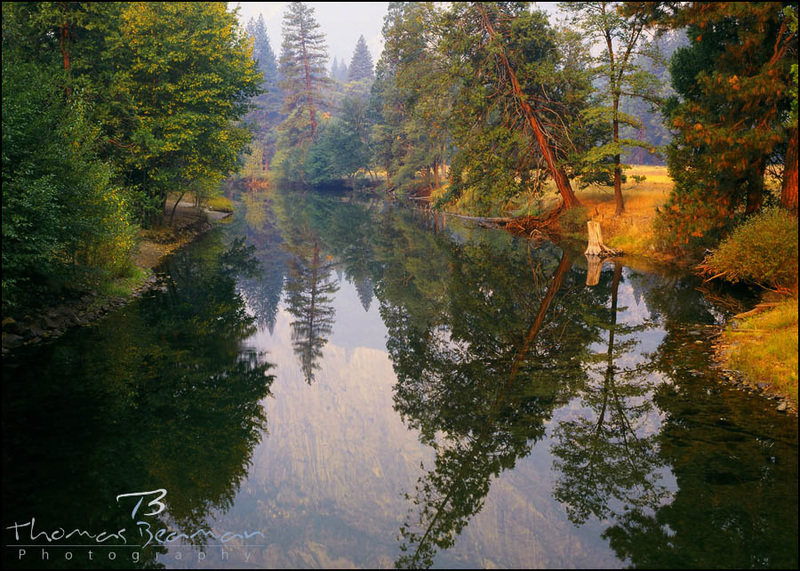 The Merced River flows through Yosemite Valley and it has many different looks depending on when you are there. Here is the river during a spring flood. Here is the river during the fall. The orange and yellow hues were caused by a major wildfire burning just outside of the park. The sun was trying to break through the thick smoke which turned everything bright yellow and orange (I have a photo taken at sunrise on this smokey day that I will share in my next Yosemite blog post). And here is the river in winter taken from the same place as the photo above (just zoomed in a bit). Winter mornings in Yosemite are amazing! 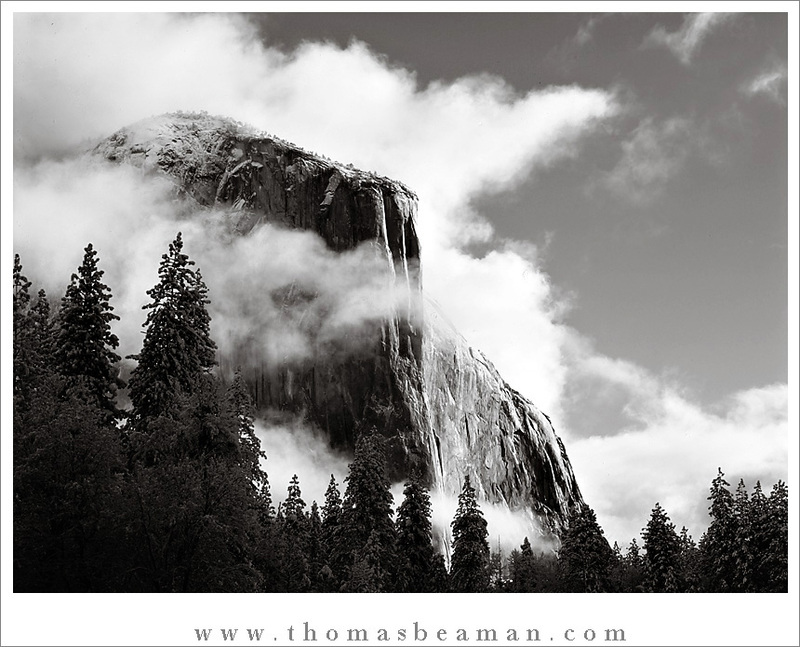 Here is a shot of El Capitan with early morning fog. Here is a wide angle from the same location. I took this on my Fuji G617 panorama film camera. There was no guessing with this camera…..you only got 4 shots with a roll of 120 film (I used Fuji Velvia 50 slide film) so you had to make them count. This photo scared me a bit. I was photographing this deer with a 100-300mm lens. He was walking around the park eating and minding his own business. He kept getting closer and finally I was only at 100mm and this is as wide as I could get. He looked and stared at me for about 15 seconds. 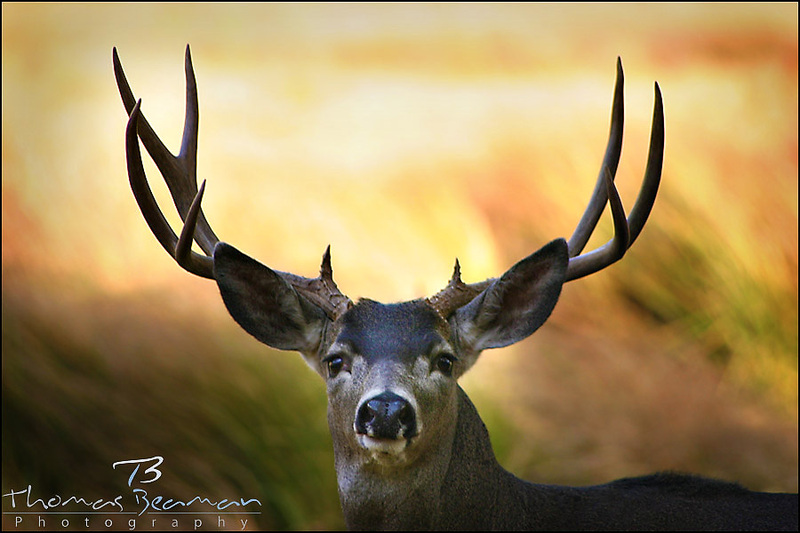 We were pretty close to each other and I kept picturing one of those antlers coming at me………..I never enlarged this photo but I would like to make a big print someday. 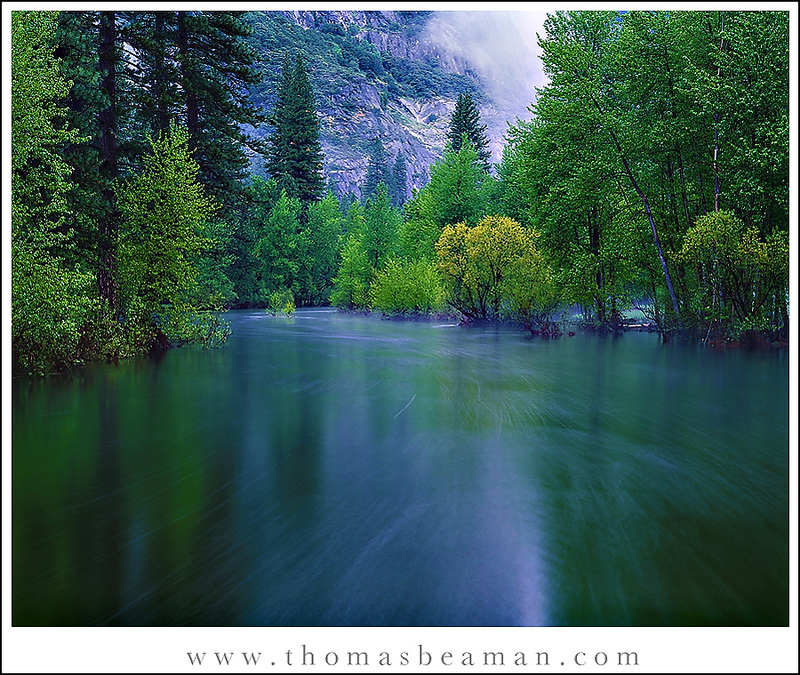 I have a few other landscape photography posts on my blog. 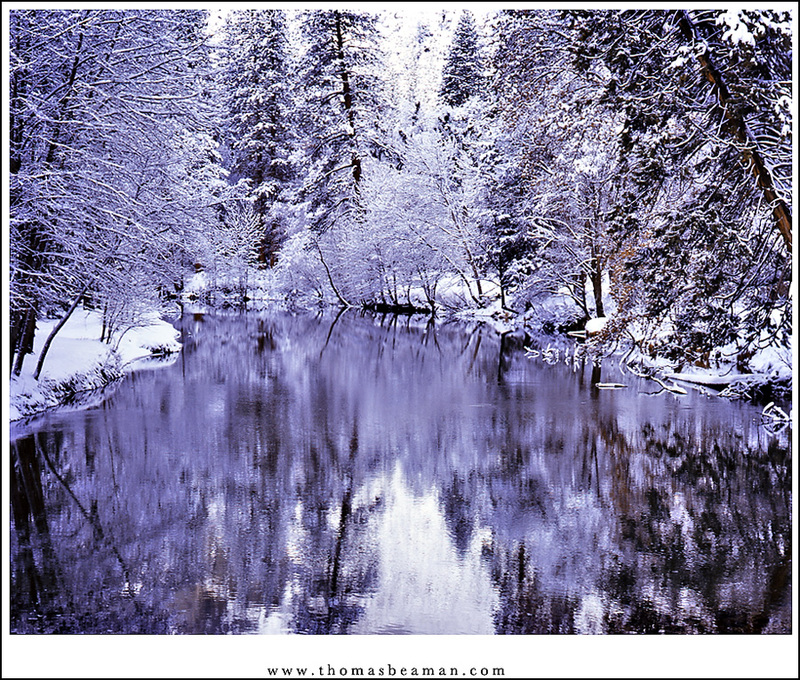 Here is one from Lake Tahoe.